Our student teaching spirit animal. As future educators, we all have certain visions of ourselves in our own classrooms. 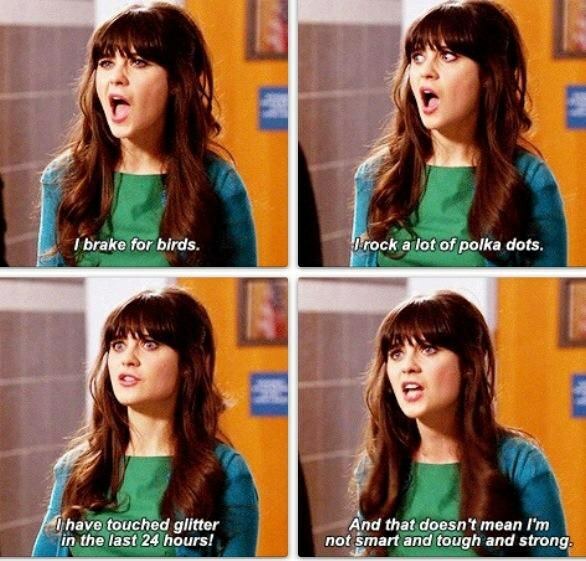 No matter what the image is, we can all relate to Jessica Day from New Girl and her experiences as a young teacher. Here’s a list of 10 things we can all see ourselves doing, both in and out of the classroom, as future young teachers, as told by Jess Day. It’s almost impossible to go shopping online or in store without seeing an item and thinking, “Oh wow, that’d be perfect to wear in the classroom!” We’re young and hip and we ain’t afraid to show it! We rock polka dots, stripes, and bright colors just like Jess. She isn’t afraid to show her individual style, while keeping it appropriate, and neither are we. 2. You find yourself singing more often than simply speaking. If you’re working with Early Childhood students, like preschool or kindergarten, you’re probably singing a lot of songs already. Whether it be the Alphabet Song or Days of the Week, you need to be able to carry a tune to keep your students entertained. Jess uses this to her advantage and incorporates music in her lessons for students of all ages. For many, your singing trickles out of your career, and suddenly, you are singing to yourself while doing chores. You may even start “sing talking” without realizing it, just like Jess. 3. You use your “Teacher Voice” on your friends. Jess approaches resolving conflict the way any teacher would, and her teacher voice comes out. She tries to incorporate the “Feelings Stick”, a method she uses in her classroom, into the Loft, much to her roommates’ dismay. Her teacher voice comes out even more often when she is more sober than her friends. You might find yourself telling your drunk friends to take “one step at a time” on the stairs and to use “walking feet” when you’re heading in after a night out. We all just learn to approach any problem the way we would if we were in teacher mode, which can definitely create some funny stories. 4. Sometimes, things don’t work out as planned. No matter how much planning we do for a lesson or unit, things are sure to go wrong somewhere, and that’s okay! We just have to learn to accept it and learn how we can better ourselves in the future, just like Jess does. Even when she planned a terrible Biology class field trip to pick up trash and ended up getting stung by bees, she was able to keep positive and laugh it off in the end. 5. You realize middle school was the worst, and want to help guide your students through this time as best you can. If you’re a middle school teacher, like Jess, you are often forced to relive one of the worst times of your life. Cliques are still a large problem with your students, relationship drama enters your classroom everyday, and you witness your students developing as individuals during their awkward stages. No matter what, you’re there to support your students during the time they need it most. You are the greatest support system a student has outside of their own family, so you try your hardest to help guide them in the right direction. 6. You always aim high. Jess has always expected the best of herself. Within three seasons, Jess went from a classroom teacher to a Vice Principal of a middle school with a significant pay raise. She was given this opportunity due to her ambition and value she places on the students. After being laid off, Jess continued teaching by applying for a job in adult education. We should all strive to be as persistent and excellent as Jess, regardless of any obstacles we face. Being a teacher is not easy, but a strong ambition can make the positive results outweigh the negatives. 7. You find it difficult to navigate your new relationships with other teachers. We all spent the majority of our elementary school days wondering what the Teacher’s Lounge was like, but once we make it there as a teacher, we realize there’s way more to it than we thought. You run into all the gossip about what’s going on in different grades, a few cliquey teachers who have been teaching together forever, and maybe even an attractive male teacher. No matter what, you want to keep it professional. Of course, it’s going to be difficult to resist the urge to gossip about students or make conversation with that male teacher about something other than what’s going on in the school, but, as we’ve learned from Jess, mixing work and play can often end poorly. 8. You get sick from your students all the time. Schools are filled with all sorts of little kid diseases and in your first years of teaching, you will definitely catch a few of these before you build up your immunity. Your non-teacher friends won’t get it when you say you can’t go out tonight because one of your students gave you a cold or the stomach bug, and some of them might even shun you so you don’t spread your disturbing child germs all over them. 9. You’re a child at heart. It’s impossible to be a good teacher if you don’t understand your students. The best way to understand them is to put yourself in their shoes again. Embrace your inner child. Learn all of the words to the Frozen soundtrack. Go see Finding Dory. Keep a collection of your favorite childhood movies and relive the emotions you felt when you first watched them. If we’re children at heart, we gain a better understanding of what our students find entertaining. Jess understands what makes children cry, and can reference many children’s movies. 10. You help your students and others understand that we should all accept who we are. Each and every one of us is unique in our own way and so are our students. We each have our own qualities that make us who we are and it’s important that we show our students how to accept this about ourselves. 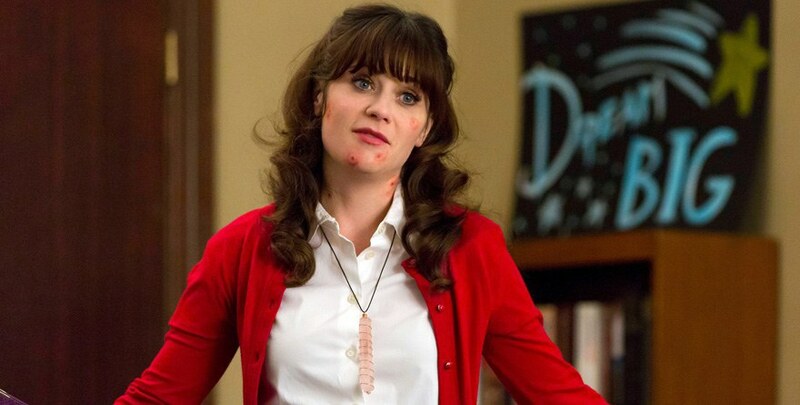 Jess may be weird, but she’s proud of that, and utilizes her quirky personality in the classroom. Our students look up to us, and if they see us being ourselves and embracing who we are, then they will do the same! This is especially helpful for middle school students who are going through their awkward phase, and struggling to come to terms with who they are. If Jess can accept her flaws and embrace them, we should accept ours to benefit our students as well!